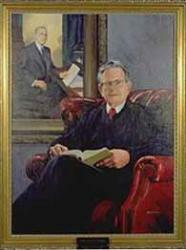 John W. Fitzgerald was born on November 14, 1924, in Grand Ledge, Michigan, and died July 7, 2006. His father, Frank D. Fitzgerald, was Governor of Michigan and his grandfather, John W. Fitzgerald, was a State Representative. Fitzgerald was graduated from Grand Ledge High School in 1942. He continued his education by receiving his undergraduate degree at Michigan State University and his law degree from the University of Michigan Law School. In addition, he studied at Princeton University and the University of Arizona.